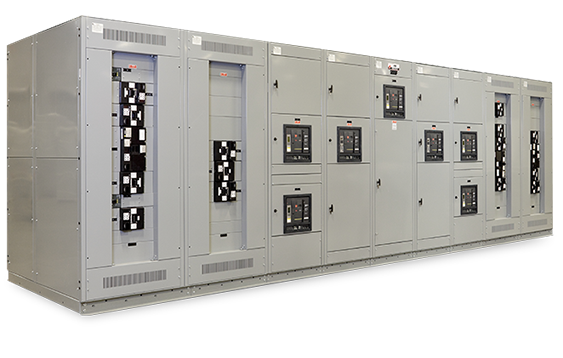 Switchboards can be custom designed or utilize a standard configuration to meet specific dimensional and electrical requirements. They can include fully integrated component options from leading manufacturers, including automatic transfer switches, TVSS, distribution transformers, and PLC or relay based transfer schemes. Circuit breakers and fusible switches can be group or individually mounted. Indoor and outdoor enclosures are available in a wide range of durable color finishes. Fully rated bus is based on density ratings, not UL heat rise tests, resulting in more bus and lower operating temperatures. All enclosures are finished using a state-of-the-art powder coating system providing an indoor finish that exceeds the 1500 hour salt spray testing requirement for outdoor equipment to 3000 hours. Component and metering selections are based on value engineering for the application and optimized to meet specifications. IEM Switchboards meet seismic testing, circuit requirements as outlined by IEEE344 and ICC-ES-AC156.